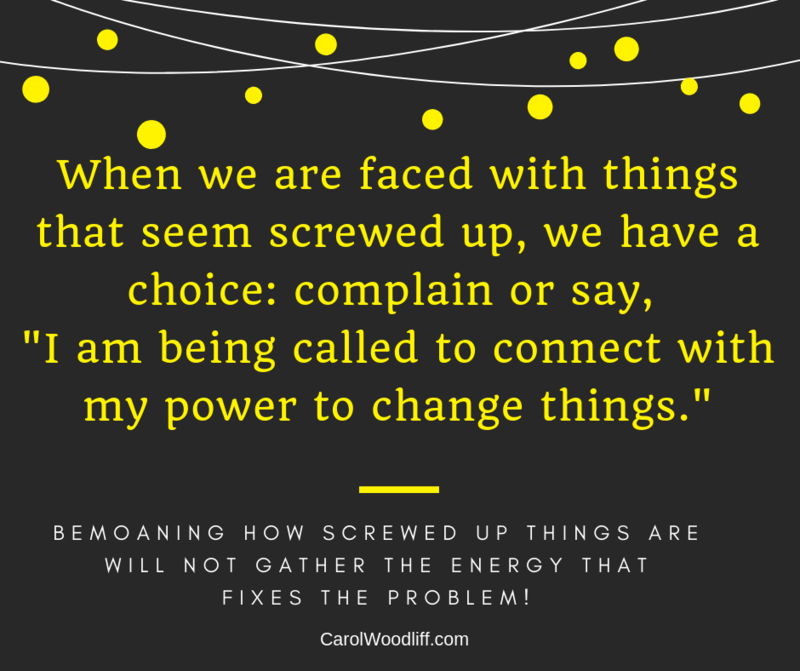 Complain or Step Up Your Power? Today’s “From Scared to Sacred” post. I have been getting slapped around (figuratively) in meditation. This message has been repeated again and again. “Are you going to choose your power or stay stuck?” It is so easy to walk around saying, “this is f’d up” “we are screwed” etc., especially in this political climate. It is okay to notice that things are not working but after that we have a choice. Do we keep focusing on what is broken or do we step into our power to vision what we want to create and take action toward that? It really is a personal and collective choice. Reminded once again that the life I want to live is connected with compassion and vision. The world needs us to step up/out in our love power.